In a small town in Michigan, fifteen-year-old Sarah Cole is stuck spending the summer at her Aunt and Uncle’s with her sister, Lacey. She is not happy with the situation until she befriends a girl named Jackie. The three girls soon stumble upon the ruthless murder of a reclusive neighborhood woman, known as the "Cat Lady." An officer investigating the crime believes the girls are responsible for her death. Fearing that the officer will frame them for the murder, the girls organize their own detective squad. They become the Super Spies and start their own fact-finding mission. "Cat Lady" until they start digging into her past and discover a horrible crime that happened 30 years ago. They uncover a connection between the two crimes and attempt to bring this information to the police, only to be reprimanded for meddling in the inquest. The girls struggle with the fact that their investigating could provide a legal loophole allowing the killer to go free. Frustrated by this turn of events, the Super Spies realize it's up to them to snare the "Cat Lady Killer!" This book opens in a small town in Michigan where Sarah and her sister, Lacy are now living with their Aunt and Uncle. Still reeling from the fact her parents have disappeared, Sarah starts the school year with her new friend, Jackie Jenkins. When Sarah learns the school has been bombed, she’s filled with dread. Uncle Walt is a teacher, and he was in the school when the bomb exploded. Taking matters into her own hands, Sarah decides to search for him. The rest of the Super Spies are right behind her. When a fireman chases them away from the school, Sarah becomes suspicious. She decides to investigate. The FBI arrives on the scene. Sarah realizes this bombing could have even bigger implications. Searching for the bombers, Sarah is introduced to the world of terrorism. She fears that the bombing and her parents’ disappearance are connected and terrorists are involved. To make matters worse, the bombers are determined to finish the job. Can the Super Spies find the bombers before it’s too late? Sarah Cole and her sister Lacey are at it once again when they learn their missing parents' cell phone has been traced to Alden, MI. When the FBI declines to continue the investigation, Sarah takes matters into her own hands. She calls upon the Super Spies and they delve into the situation. Suddenly, the teens find themselves immersed in small town intrigue and mystery involving a menacing stranger, who Sarah dubs “The Stalker." But when Sarah learns he’s connected to her parents’ disappearance, she’s determined to find out what that connection is. 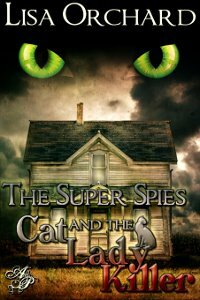 The Super Spies embark on a journey that leads them into a web of corporate corruption at its highest level that leaves innocent victims in its wake. Can they find the proof they need to stop the greedy corporation before it’s too late?